A number of industries are actually byproducts of the meat industry: leather, glue, gelatin, certain textiles, foam stabilizers and even feed supplements. Two English entrepreneurs have another to add to the list: building insulation… made from chicken feathers. 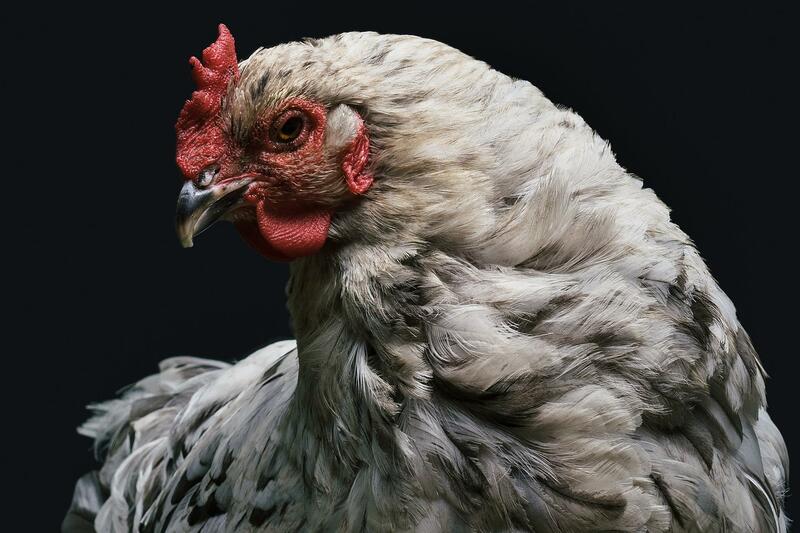 More than 50 billion chickens are slaughtered annually for food, Fast Company reports. That number is only rising: The Organization for Economic Cooperation and Development predicts that by 2020 the white meat will surpass global consumption of beef, pork and fish. So what to do with the more than 11,000 tons of chicken feathers going to waste every day? Enter Elena Dieckman and Ryan Robinson, who while students at Imperial College London realized the keratin in claws, hair, horns, scales—and of course feathers, which are more than 90 percent protein—were perfect insulators. Their class project took these waste feathers and turned them into insulation. The students pitched the feathers-as-insulation idea at the Mayor of London's Low Carbon Entrepreneur Competition and impressed the panel of expert judges enough to win the award. The resulting success allowed Dieckman and Robinson in 2016 to form Aeropowder, a startup company that finds uses for waste feathers from chicken farms and generally seeks to create useful materials from items considered “waste” in our culture. On average, feathers make up 5 percent of a bird’s weight. Even when you adjust that percentage to allow for the fact that many birds kept in cages lose most of their feathers, you’re talking a lot of waste. Those feathers generally get incinerated, pulverized and added to feed, or transported to landfills. But they’re lightweight, strong, and thermally insulating. Meanwhile, most insulation materials are synthetically derived from petroleum-based materials, and may off-gas toxic chemicals into the very homes they’re meant to protect from the elements. Feathers from 80 chickens would be enough to create 22 pounds of raw insulation material—or 10 square feet of insulation. Those numbers are just averages, as Aeropowder is still in its research and development phase with patents yet to be acquired. Aeropowder utilizes a team of advisors with expertise in poultry-waste processing, composites manufacturing, natural fiber processing, business finance, and entrepreneurship. The company has recently secured permanent office space at the InnovationRCA incubator, been granted access to the prestigious Climate-KIC accelerator program, and met with poultry industry professionals and material manufacturers expressing serious interest in working with the company toward a more sustainable and practical future. Aerospace has additionally received a fellowship with Echoing Green, the longest-running social enterprise accelerator program, which awarded the startup a joint stipend of $90,000 over the next two years. With all this wind at its proverbial back, it stands to reason that in the very near future we’ll see insulation made from discarded feathers of the meat industry. What remains to be seen is whether consumers will buy into it—and how affordable feather insulation will ultimately be.